18 States yet to establish traffic management agencies – FRSC – Royal Times of Nigeria. The Federal Road Safety Corps (FRSC) has urged state governments that are yet to establish their traffic management agencies to do so in line with the Nigeria Road Safety Strategy (NRSS). 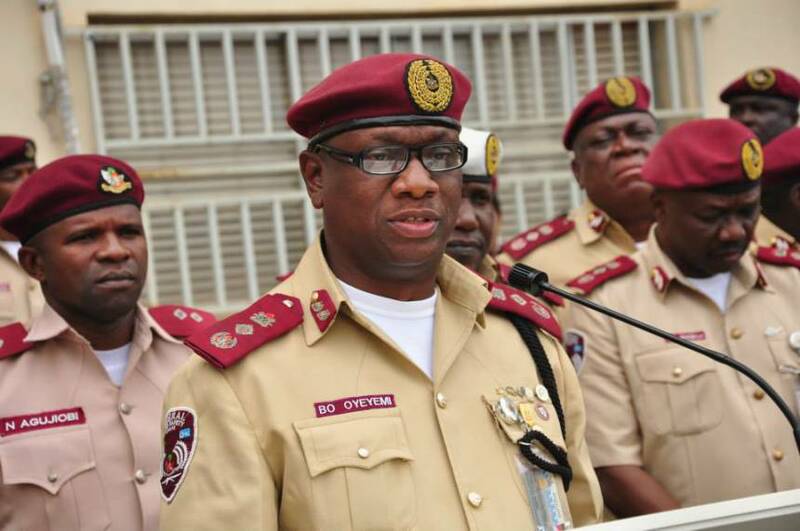 Corps Marshal Boboye Oyeyemi, made the call at a meeting with heads of some state traffic management agencies and zonal commanders of the FRSC in Abuja yesterday where he addressed newsmen on the sidelines of the meeting. Oyeyemi said state traffic management agencies were critical to the attainment of the NRSS objectives. Implementation of the NRSS, which targets a 35-percent reduction in road traffic accidents in the country by 2018, is hinged on the synergy between the federal and state governments. Besides, Oyeyemi said statistics had shown that states with traffic management agencies had better road safety records than those without. He said, “Currently, we have 18 state traffic management agencies, and from our data, we have seen that the rate of crashes is trending down in states that already have. This shows that traffic is being effectively managed in those states. But in states that have yet to establish their agencies, the rate is going up. This underscores the need for us to encourage state governments that have yet to respond to do so in line with our road safety strategy document,”. He listed the compliant states as Kaduna, Kano, Lagos, Ogun, Delta, Anambra, Cross River, Kwara, Ekiti, Abia, Imo, Sokoto, Zamfara, Osun, Ondo, Oyo, Rivers and Niger. Data released at the meeting showed that in 2014, a total of 6,102 road accidents were recorded in states without traffic agencies compared to 4,278 in states operating the system. In the same year, 3,049 persons died in road accidents in the former set of states, while 2,947 died in the latter. The meeting was a followup on a two-day capacity building workshop by the United Nations Economic Commission for Europe (UNECE) for the traffic managers in Abuja between Tuesday and Wednesday. It focused on the harmonisation of federal and state road safety operations in the areas of data collection and reporting, staff training, road signages, computerised vehicle testing, among others. Some of the state representatives commended the FRSC for its relentless efforts in reducing road carnage in the country and promised to implement the resolutions of the meeting in their states. The Director-General of the Delta State Traffic Management Authority, Mr Stephen Dieseruvwie, said the initiative would engender harmony in the policies and operations of FRSC and state traffic agencies.